I just downloaded, and will test the authentication. I have my list set up pretty much the way I want it. Can I just drop in my modified beauty.js file? Or, are there changes to that as well? Nope, you can just overwrite the generated .js and .html with your files. The data-format of the generated data.js is not likely to change ever in the near future, so you can always do that. You could also just quit the application when it asks you to choose a theme and just copy and paste the thumbs/ and data.js into your existing dropbox-folder. I would like to execute the Export in XBMCbuntu from time to time. Will there be a CLI-Version in near future? Looks good. I didn't see it in the video.. But Do you have trailers listed, or planning on adding them in the future? Is there another browser that would be faster running the viewing script? Thanks for your efforts, the program is coming along great! hello, I am not sure what I am doing wrong but I can't get past the IP screen. I tried IP addressed for multiple XBMC machines in my house, I tried 127.0.0.1, I tried local host, nothing is happening. Is there supposed to be a "OK" or "NEXT" button ? I'm trying to create an html from my database on xbmc openelec. after typing the ip, user and password i get the error you can see in the attached jpg. I'm searching a long time a programm like yours. However, with me it is waaaaaaaaay too slow! It seems to me that there is a loop failing somewhere because every new thumb takes longer and longer to be generated. I had 292 items when I started this message, 3 minutes later, only 293 item. EDIT: Exactly one hour later, I have now 297 thumbs.. 4 in one hour..
And here is a screenshot of an image's properties... we can see that it was created two hours ago but have been modified one minute ago. And pretty much all the files show the same... created several hours ago, modified very recently. Great program, love it, use it - please extend it ! Thanks for all of your feedback! Support for this tool was a little bit sleepy in the past weeks, but I will get back to it very soon and try to address all your requests/questions. - CLI is a really great idea I did not think about, very easy to implement and therefore definitely coming soon. - Long running loops for the thumbs might is probably a failure on my side. I retry every dl 3 times if it assumes it as failed. Seems like some part there is not doing right. 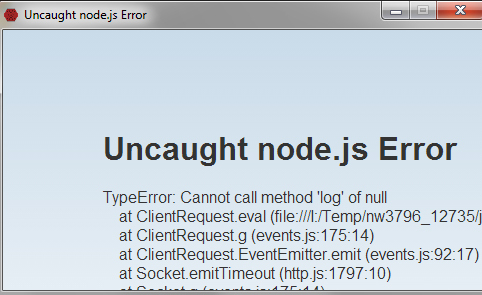 - Slow browser-implementations: Yup, this might be a problem. I didn't yet try it with more then 400+ movies. Although the white theme "Beauty" should work okayish. If someone is willing to share his generated data.json to me via PN, this would be great. Although I can create dummy-data real data of big libraries is often much better. If you succeed to find and fix the issue I encounter, I am more than willing to test it again. Since I have a lot of films, I believe the theme "Listview" will be easier to browse and a lot less tedious than "Beauty" or "CoverWrap"
Just trying to run this tools, but could not manage to. i tried return tab, waiting etc, i can't manage to validate this dialog box. As soon as you enter valid data, it will continue by itself. So make sure the following things are true: The IP is correct and reachable (127.0.01 for the same computer) if you configured a different port then 80 inside XBMC, append it to your IP (like 127.0.0.1:8080). Also make sure that XBMCs webserver is turned on AND that you checked "Allow programs on this/other pcs to control xbmc"